Get your anime history books out, because Tuesday will be the start of a new chapter. If you keep good tabs on anime news, you hopefully already know what Tuesday will bring. If you don’t, it’s when Skip Beat! goes live on Indiegogo for a US release. Be it successful or not, this is going to be one to watch. Now, I will admit, Skip Beat! wasn’t a title I had heard of prior to the announcement it was getting an Indiegogo campaign. And there may be a critical reason for that – it’s a Shōjo anime. In a nutshell, that means it’s an anime whose target demographic is women, notably teenage ones. But does that mean it can only be enjoyed by them? So why then is Skip Beat! a title to keep an eye on? Shōjo is considered a moderately risky genre. Skip Beat! has sat in US licensing limbo because of that. Yes, you can stream it right now on Crunchyroll (like I currently am), but for eight years, it’s sat waiting for a disk release in the US. Not even Sentai, which seems to license damn near everything these days, licensed it. Well, maybe they tried to and were declined. I don’t know. Pied Piper, however, did get the license for Skip Beat! No, not the one from HBO’s Silicon Valley; the one behind the immensely successful Time of Eve Kickstarter. And that’s another reason Skip Beat! is one to watch. Time of Eve was/is a pretty respected title. It was Pied Piper’s first license and release. Now, while NYAV Post was the studio behind the dub, and RightStuf! handled shipping, to the best of my knowledge, Pied Piper is just one person: Ann Yamamoto. In my opinion, that’s a pretty extraordinary feat. Should Skip Beat! also be successful, Pied Piper would be off to a very strong start as an anime licensor. It would be a huge win for the Shōjo genre. But, failure happens. Even if Skip Beat! is unsuccessful, I still think the campaign for Skip Beat! will be notable for the future of Shōjo anime in the US. Even if it fails, at least someone tried to bring more of the Shōjo genre to the US. Bonus points in my book for it being a very young and small company. Bottom line, is Skip Beat! going to be risky? Yes. However, I can’t think of a better licensor to be orchestrating the campaign. Time of Eve was a highly notable release and I can personally guarantee the same level of care that went into Time of Eve is going into Skip Beat! The campaign launches on Tuesday, and it’s being very carefully planed. In fact, I’ve never seen a campaign receive the level of careful planning Ann is bringing to Skip Beat! 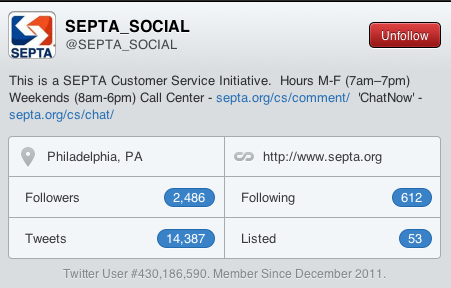 If You Don’t Follow SEPTA on Twitter, You Should. 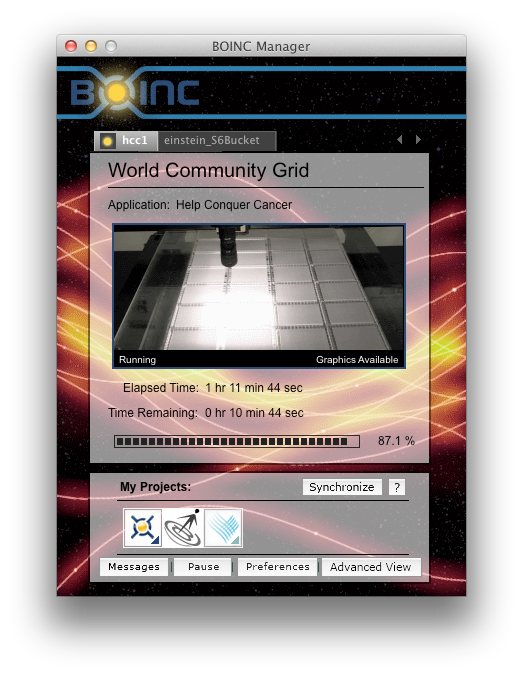 What is BOINC and why should you care? Next post Picture Post: Monthly checkup time.